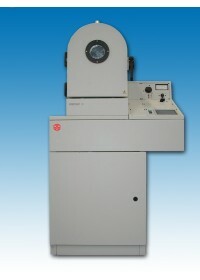 Now built by HHV, the ID500 and ID750 forensic coaters are used for the detection of fingerprints using the Vacuum Metal Deposition (VMD) technique developed by the UK Home Office and Edwards in the 1960s and 1970s. Indeed the original UK Home Office specification for 600mm and later 750mm VMD systems was written around that early work. ID500 and ID750 systems are the latest developments of the Edwards originals and are now supplied and supported by HHV Ltd.
ID750 is a full-size system designed for national or regional forensic labs. 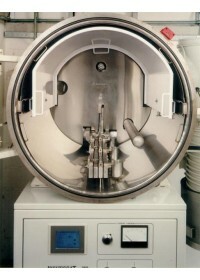 The high-throughput vacuum system with water vapour cryo pump provides short cycle time and allows rapid processing of evidence. 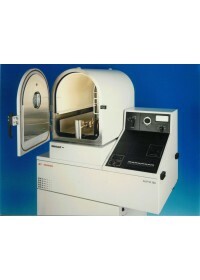 ID500 is a smaller unit designed for local agencies or where budget constraints apply. On both systems, operation of the vacuum system and the water vapour cryo pump (standard on ID750) is managed by a rugged industrial PLC and touch-screen. 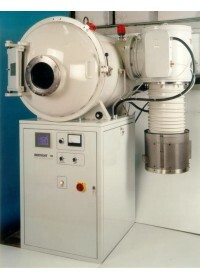 Operation of the deposition sources uses traditional controls to maximise flexibility while chamber lighting provides the operator with a clear view of the process. 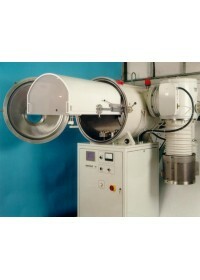 Both systems are supplied with enamelled work holders fur use with magnetic or wire attachment of evidence. 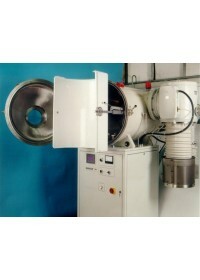 ID750 has a standard rotary drive for cylindrical evidence, which is optionally available on ID500.